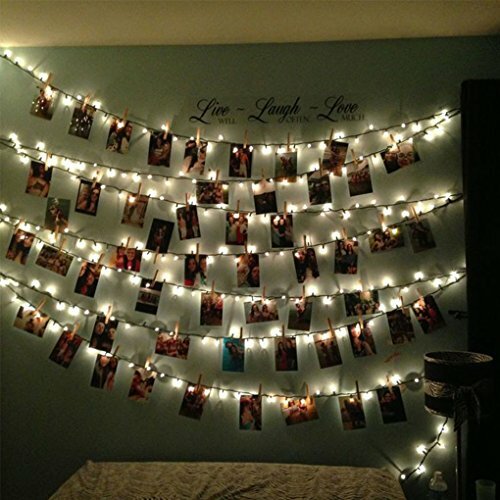 ✔Our photo clip string lights display gives the best atmosphere for your events, room decor and more. What better way to show off your special photos to guests! 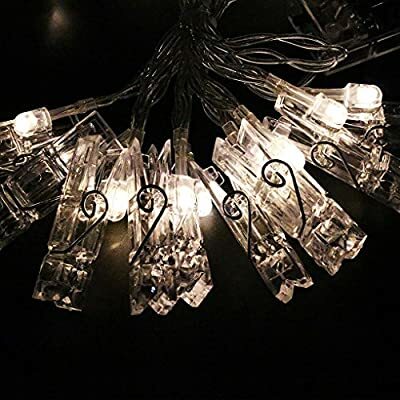 ✔LED photo slip string lights, a perfect décor to create or remember memories at your home, party, wedding, or some official events. Hang them anywhere with nails, tape or simply drape them! 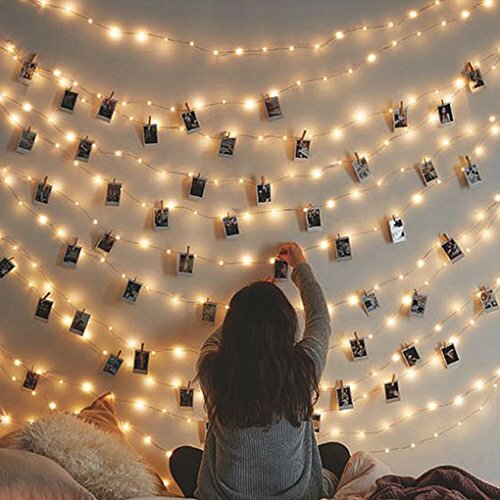 ✔String lights with photo clips for bedrooms, not only hang photos, but also hang your art works, memos or any other small things you want to cherish. A special way to show your memories! ✔It's not only a wall hanging decor, also an ideal photo showcase. It's an ornament; also it can be used as a gift for your family or friends. 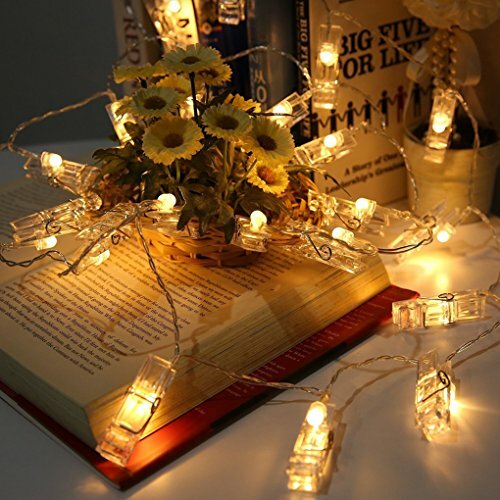 ✔Hanging clip string lights, can decorate your garden, home, living room, bedroom to add a beautiful glow to your life. ✔Length: 20 LED - 7.2 feet/2.2m; 30 LED -10.5 feet/3.2m; 40 LED- 13.7 feet/4.2m; 50 LED - 17.1 feet/5.2m. 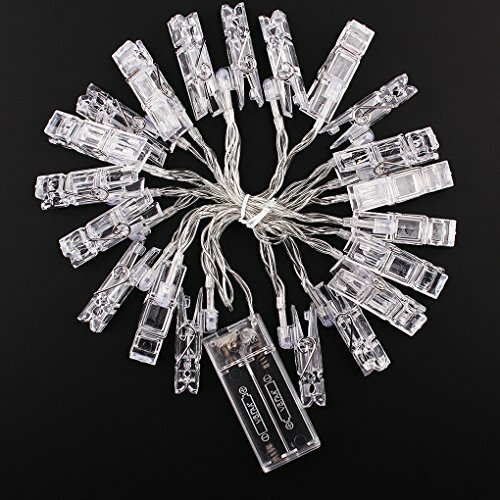 ✔Led photo clip string lights are used for indoor/outdoor use, but not waterproof. ✔DO NOT stare at the light bulb directly as this may damage your eyes. ✔ Reply within 24 hours. Feel free to contact us! No questions asked! ☀Portable string light in your hands with infinite possibilities. Each photo-clip contains an LED that emits a warm white light, a fun addition to any space. Perfect for decoration indoor or outdoor. ☀Powered by Battery with a high-performance AA batteries, energy-saving and eco-friendly. (3 x AA batteries not included).Easy to install and safe for children. Anywhere without having to worry about your display being near an outlet or power source. ☀Clear photo-clips. Each clip contains an LED that emits warm white light. Ideal for hanging photos, artworks, light weight item display and more. Perfect for living room, dormitories, galleries and birthday, festival, galleries. ☀ It can be put or hung on walls, windows, doors, floors, ceilings, grasses, Christmas trees etc. Suitable for holiday, courtship. Not just a string lights, also an ideal showcase for photos, artworks, memos .Perfect decoration for Valentine's Day, Christmas, other holidays, party, wedding, Popularly used for decorative - party, wedding, pub, club, concert, hall, cabaret, fashion show, dance, stage. No matter indoor or outdoor. 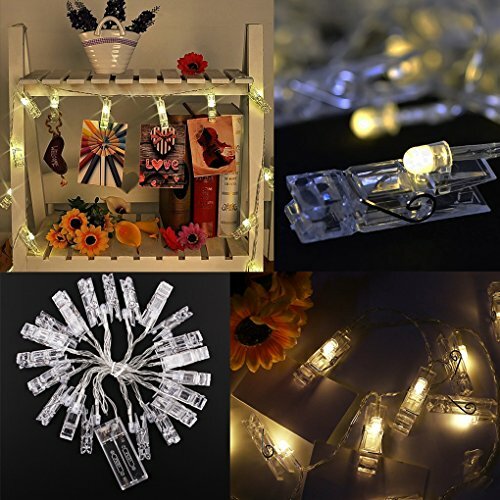 ☀Light-Up your room and add your own personal touch with this set of Led Photo Clip String Lights. Creating excellent illumination and a warm atmosphere, spreading light and cheer across a wide area. It is indispensable for festival decoration. Good choice for you.